Emilia Wickstead's dress is perfect for spring garden parties and weddings - the navy hue works with so many colors, so all you have to do is swap your accessories to make it feel brand new every time. 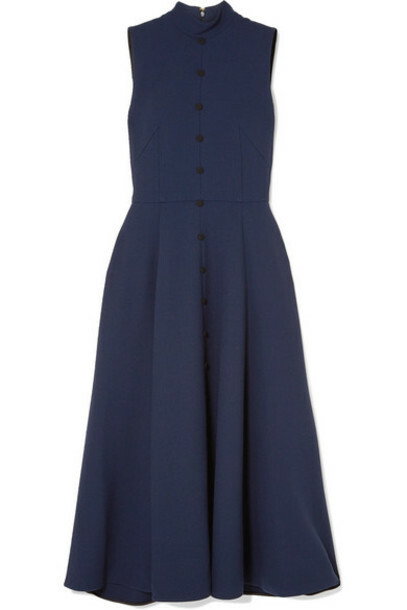 This sleeveless style is made from wool-crepe with a fitted bodice that elegantly flares out to a pleated skirt. Match your bag and shoes to the decorative black buttons.